Ask Bridge rule questions, our panel will get back to you with answers. We have Playing Cards, Tallys, Scorepads, Plus Bidding Quizzes, Bridge Hands to Play, Stories, Tips, Recipes, Gifts, Riddles and much more. Ok, give us your Bridge Rule question. gets by your spam filter or you won't receive our reply. Q The wrong player makes the opening lead. What do we do? A Declarer can accept the lead, Dummy is put down as usual, and Declarer plays from their hand next (before Dummy plays). Play then continues normally. Declarer must accept the lead if they start to put down their hand as Dummy and expose a card. If so, Dummy now becomes Declarer. Declarer can refuse to accept the incorrect opening lead and then the next rule applies. Q A defender leads out of turn. What are my rights? A Declarer can accept the lead by saying so or by playing a card to the trick. Otherwise the lead is retracted and the card becomes a major penalty card (must be left face up and played at the first legal opportunity). If it was really the lead of offender's partner, Declarer may require or prohibit the penalty card suit to be led (for as long as this player retains the lead consecutively). If this lead penalty is imposed then offender picks up their card. If no lead penalty is imposed the card remains as a penalty card. Q Declarer leads out of turn. What happens? A An opponent can accept the lead by saying so or by playing a card to the trick. Otherwise the lead is retracted. If it was really a defender's turn to lead, the card is returned to Declarer or Dummy without penalty. If Declarer led from the wrong hand, the card is returned, and any card is led from the correct hand. Change Your Mind on a Card Played? Q Declarer pulls a small trump by mistake and corrects it right away before LHO plays. This change is refused by the opponents even though a trump honor by Declarer was the obvious play since the 10 was still out and the mistake was corrected all in one motion. What is the right of Declarer? A Once a card is played it is played and cannot be withdrawn except to comply with a penalty. A card that Declarer designates for Dummy to play may be corrected only if done so without pause or thought, all in one breath. Q Can we review the bidding after play has started? A During the auction a player may review the bidding at their turn. After the final Pass, Declarer may ask for a review before playing from Dummy for the first time (even after the opening lead). Either defender may ask for a review at their first turn to play. Declarer cannot review the bidding at their first turn, only at Dummy's first turn to play. 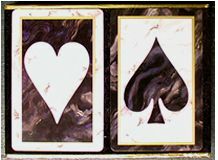 After the opening lead is faced, a player at their turn to play, may ask what the contract is and if it is doubled (but not by whom). During play, players at their turn may request an explanation of the opponent's auction, or an individual bid, but not ask to review all the bidding. Players may not ask a question just to suggest to their partner a line of play. Q We reached 4 Spades and when West made their opening lead they claimed 100 honors. Can they do this? A Certainly. Any player can claim honors, including Dummy or an opponent. An opponent can even get 150 honors for having all 4 aces in a Notrump contract. Q We bid and made 2S Doubled. Do we get game? A Yes you do! Your bid and contract is doubled to 4S and bids are scored below the line so you get 120 for a game. Any overtricks are scored above the line. Q Who plays next if Declarer plays a card from his hand and Dummy at the same time? A Either defender may play first. A defender is not subject to penalty for playing before his partner if Declarer has played from both hands. A singleton in Dummy does not count as automatically being played by Declarer. Usually Declarer plays both cards at once because they don't care what you play at all. Ok in friendly games but a big no-no otherwise. Q What do we do when someone revokes? If the revoke trick was won by the offending player, that trick plus 1 of any subsequent tricks won by the offending side is awarded. If the offending side doesn't win a trick after the revoke, only the 1 revoke trick is awarded. So it's not automatically 'two tricks'. If the revoke trick was won by the offender's partner, that trick is awarded. This also applies if Declarer revokes but Dummy wins the trick. If the revoke trick was won by the other side, then 1 of any subsequent tricks won by the offending side is awarded. If the offending side doesn't win the revoke trick or any subsequent trick, then no tricks are awarded. Revokes on the 12th trick are merely corrected and there is no penalty applied since the cards are now put back and played out exactly as they should have been. There is no penalty if Dummy revokes. The revoke rules are printed right there where you need them. Q Can Dummy call a revoke? A Assuming they have not looked at anyone's hand, Dummy may only ask Declarer if they are out of that suit. When a revoke occurs it can be corrected 'Until the offender or his partner plays to the Next Trick'. Once play to the next trick happens, the revoke is 'established' and a penalty will come into play. The revoke should be called immediately. In a friendly game do whatever you like - usually correct it and keep on going. For more serious games, correct it and apply a penalty. In organized games, call the director. There is no penalty if Dummy revokes. Q How much scoring credit do we get for revoke tricks? A You bid 3H but make only 2 because of a revoke. The offenders award you the revoke plus another trick that they won after the revoke. You get 90 below the line and 30 above the line for the extra trick. You can't get game since you didn't bid game. Q Is it necessary to cut the cards? A Not only is a cut necessary, it's mandatory. Each part must contain 4 cards for it to be legal but it's considered bad sportmanship to cut so few. The dealer completes the cut in Bridge. There must be a new shuffle and cut if a card is faced during cutting or dealing. Mathematically, you should shuffle the cards at least 5 times to ensure proper mixing and randomness. Good etiquette dictates you Stop Shufffling! when dealer deals the last card so that you're ready to sort your cards along with everyone else. Q Someone Passes (not a bid) when it's not their turn. What happens? A If the next player bids; nothing. Otherwise the Pass is cancelled. If no one has bid, the offender must Pass at their next turn only. If it was RHO's turn to bid, they do so, and the offender must Pass at their next turn only. If it was Partner's turn to bid, partner can bid (but may not Double) and the offender must Pass every time. If your side defends, partner can be prohibited from leading any 1 suit at their first chance to lead (and if they retain the lead). Q Someone Bids (not a pass) when it's not their turn. What do we do? If it was RHO's turn to bid, and they Pass, you must repeat your bid and nothing happens. If RHO bids, and you repeat your bid again, partner must Pass once (no lead penalty). If you change your bid to another bid, partner must Pass every time, and if your side defends they can be required or prohibited from leading your first suit at their first lead (and if they retain the lead). If your first bid was Pass, NT or Double, Declarer may choose a suit for the penalty lead. If it was Partner's turn to bid, partner must now Pass at each turn and the lead penalty above can be applied if your side defends. If it was LHO's turn to bid, partner must now Pass at each turn and the lead penalty above can be applied if your side defends. Q I opened 1H and the next player bid 1C and then quickly said, I meant 2C. What happens? A If a player corrects his call immediately without pause, there is no penalty and bidding should continue as normal. Q I opened, the next player bid and then changed their bid. What happens? If the first bid was illegal see the next screen. Allow his first bid to stand and their partner must Pass only at their next turn. If your side defends Declarer can require your partner to either lead or not lead your first bid suit. If the first bid was Pass, Double or NT, any 1 suit can be the penalty suit. Make any legal bid and their partner must now Pass every time. If you defend Declarer can apply the lead penalty above. In friendly games correct the bid like nothing happened. Q I opened 1H and the next player bid only 1C. What do we do? If a player corrects his call immediately without pause, there is no penalty and bidding should continue as normal. If the next player bids, your bid is accepted and continue normally. Otherwise, the offender must bid sufficiently or Pass. If they bid the same suit at the lowest level there is no penalty. If they change suits, Pass, or either bid was a convention; then offender's partner must always Pass and if the offending side defends, Declarer may require offender's partner to lead the suit or prohibit its lead. If the offender's first bid was in NT, any 1 suit can be the penalty suit. If they change their bid to a Double, it is cancelled, they must Pass this time, partner must always Pass, and the above lead penalty is applied. Q During play of a hand it was realized that one player was short a card and another player had 1 extra. Do we have to redeal the hand? If the extra card is in the offender's hand there is no penalty. 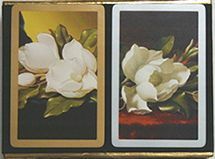 If the extra card has been led or played, the offender must substitute for it a card that could legally be played and if possible a card of the same suit. The offending side may not win a trick it had lost, but it may lose a trick it had won. Previous tricks are inspected face up to determine when it happened. The hand short a card must take a card back, and the hand with too many cards must put a card in. A penalty of one trick is assessed if Declarer is the one who did not play a card to the trick. Q After the 11th trick it was realized that one of the defenders only had one card and their partner had 3. They wanted to call a misdeal but we had already made our contract so we thought we should get the game. Who's right? A They are. A misdeal is required whenever one player picks up too many cards and another too few. If the player with 14 cards only had 13, maybe they would be shorter in a suit that really mattered and be able to ruff. Or maybe their partner wouldn't have to play from a K J if they had all 13 cards and K J x instead. Q During play a player notices they are short a card. If the missing card is found in a previous trick, only that trick is inspected face up, offender leaves in it the highest legal card that could have been played, the card removed becomes a penalty card for a defender since everyone has seen it, and it may be a revoke card if it could have been played and wasn't. If it is found on the floor etc, it is presumed to be that player's card and is restored to their hand. It may become a penalty card if others see it, or if it should have been played earlier it can constitute a revoke. Q A player notices they have too many cards while everyone else has the correct number. A Previous tricks are inspected face down for one that is short a card, it is then turned face up, and the offender now places a card into that trick (ownership of the trick is not affected). If they play a card of the suit that was led to the defective trick there is no penalty, otherwise they can play any card but it is deemed to be a revoke and a one trick penalty is awarded if their side won the defective trick or wins any subsequent trick. 10 Titles to choose from. ACBL approved. If you didn't find your question listed, Ask Us Now. Rubber Bridge Rules, Laws MindRacer Publishing. 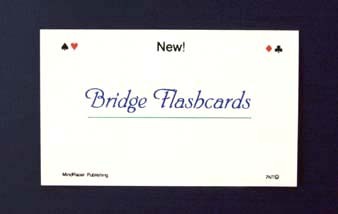 Bridge Scorepads, Supplies, Card Game.